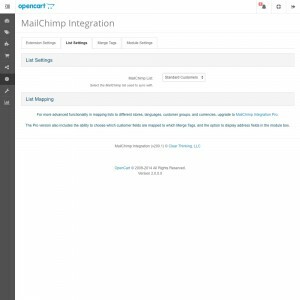 Manually synchronize your lists with a single click when you first install the extension — after this, all information will be synchronized in the background. 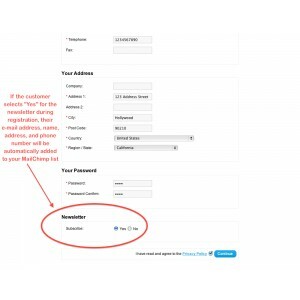 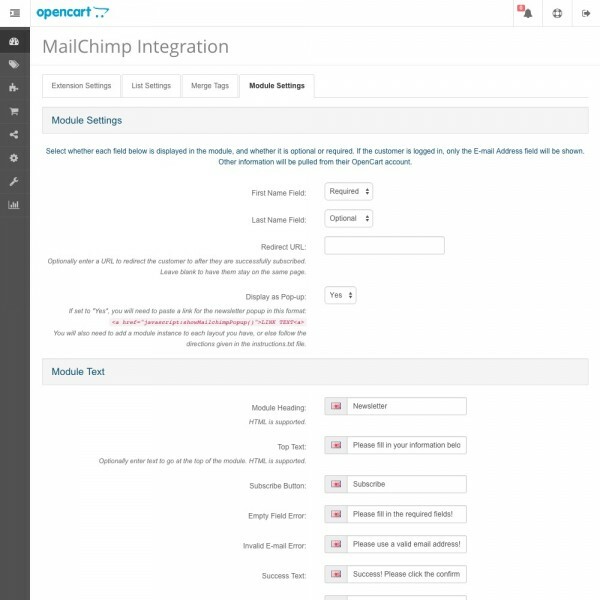 Automatically add customers to your MailChimp list when they choose to receive your newsletter in OpenCart, both during account registration and any time after. 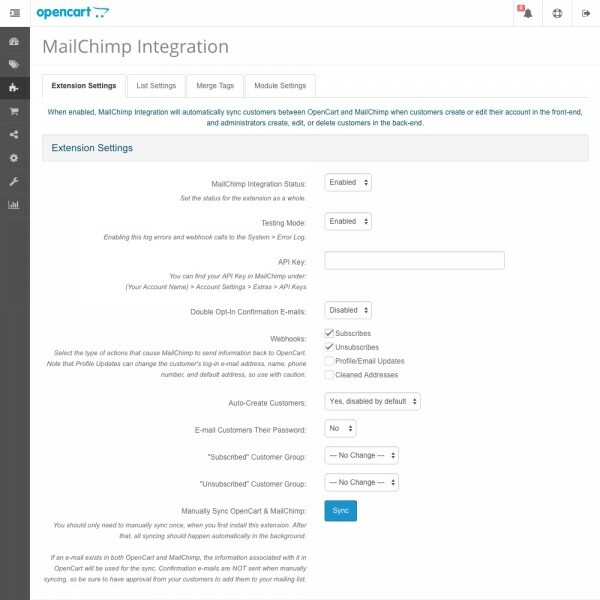 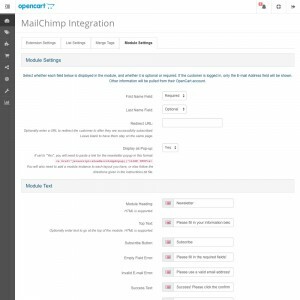 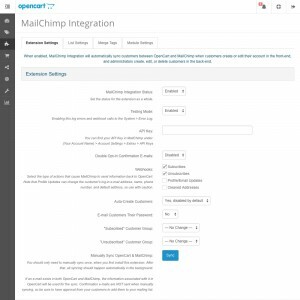 Easily synchronize e-mail, name, address, and phone information with MailChimp when customers edit their info in the front-end, and when administrators edit it in the back-end. 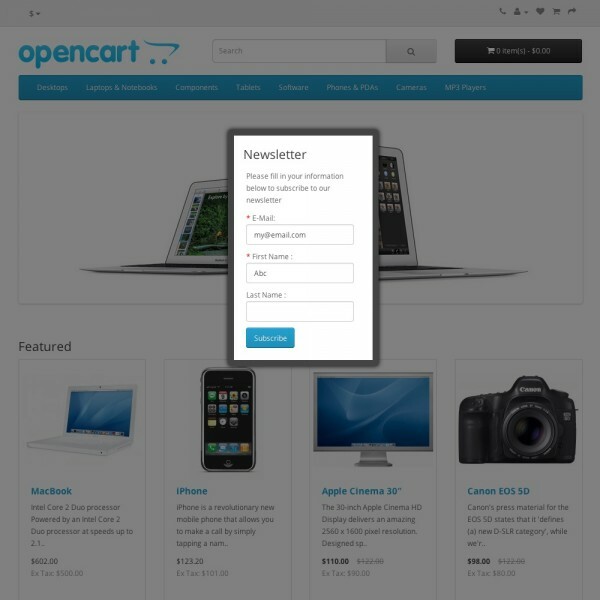 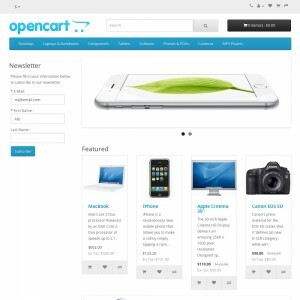 Choose whether to auto-create customers in OpenCart when they sign up for your newsletter through the sidebar module or through a MailChimp form. 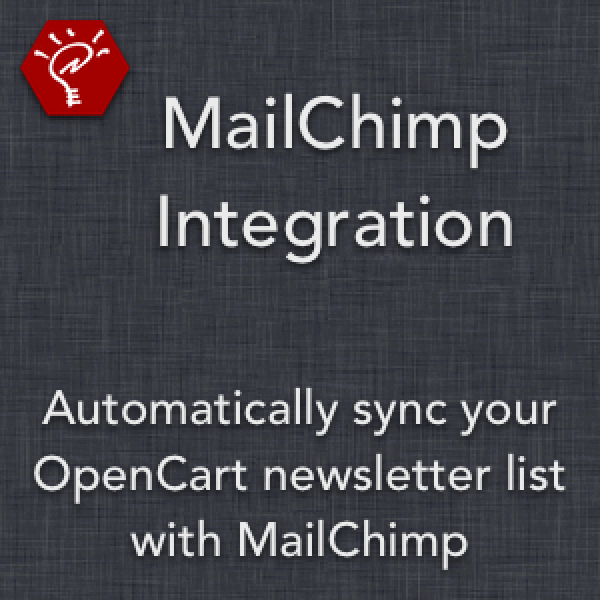 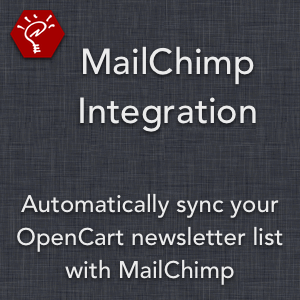 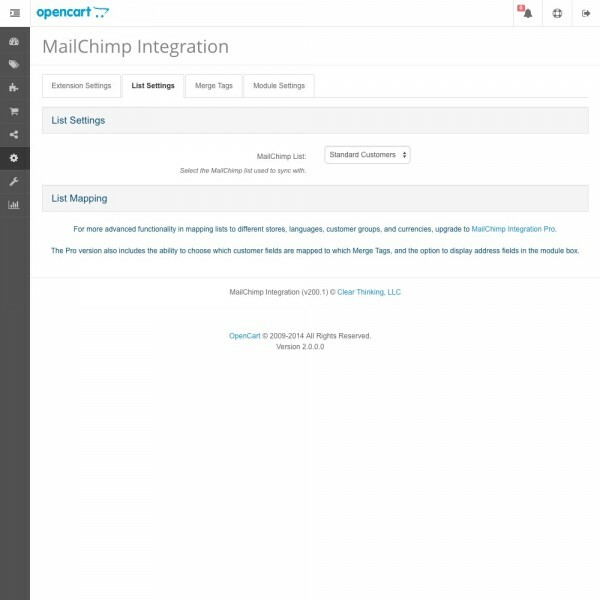 Pass information from MailChimp back to OpenCart using the webhook functionality built into the extension. 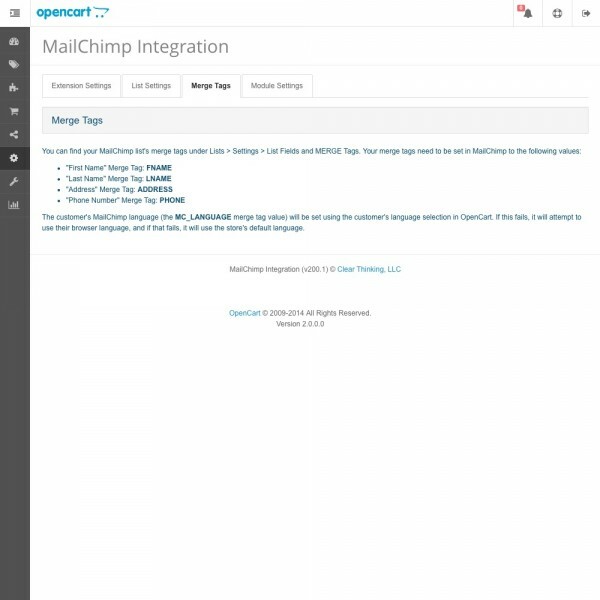 For syncing with multiple MailChimp lists, mapping customer fields to merge tags, interest group support, and additional module features, see MailChimp Integration Pro. 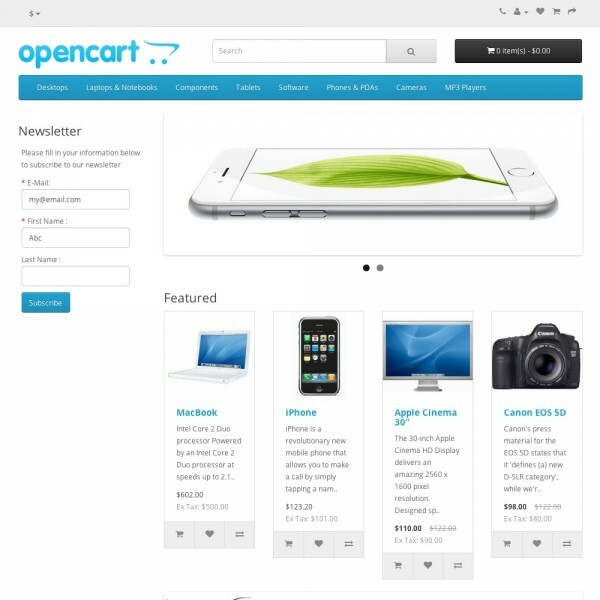 To inquire about upgrading and upgrade pricing, contact Clear Thinking. 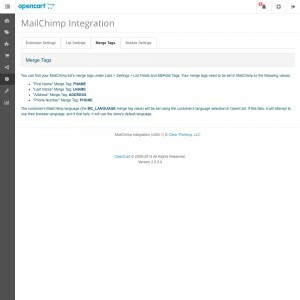 How do I set up Google Analytics tracking for MailChimp? 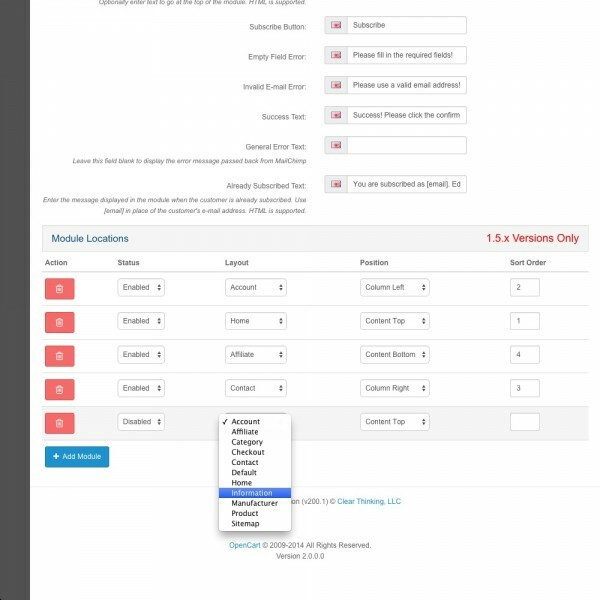 Drop the Property selector and click "Create new property"